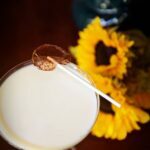 A smooth and tart cocktail for those who love a little twist, the Lemon Cake Cocktail recipe is a perfect sipper. Combine the Limoncello with the RumChata in your cocktail shaker. Add ice and put the top on. Shake vigorously until cooled. Strain into martini glass and serve.